Andy started City Apartments while working on the MK Citizen as the chief photographer. He spent a lot of time attending press launches and shows at the MK Theatre. This allowed Andy the opportunity to meet the cast and crew. Andy realised the cast and crew needed short-term accommodation during the show run. Hotels really didn’t suit the cast while staying in Milton Keynes for longer than a week, and they didn’t meet their budget requirements. This gave Andy the idea of creating an apartment that the cast could rent on weekly basis. Sharing the apartment would make it more affordable and still give the cast more space than a hotel. During the infancy of the internet, a local site called Theatre Digs allowed people to list their properties online for cast members staying in Milton Keynes. Andy saw the need for City Centre apartments and decided he would take on three studio flats in the city centre. He personally refitted the apartments with new kitchens, shower rooms and a full redecoration before listing the studio apartments on Theatre Digs. 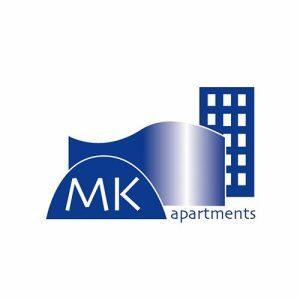 This was the creation of Mk Apartments, with Andy at the forefront of the serviced apartment industry in Milton Keynes. Back then in 2003, Andy would meet and greet everyone. The serviced apartment format was slightly different as he only rented out from a Sunday to Sunday. 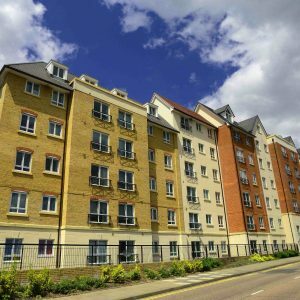 During the early days, MK Apartments didn’t take any mid-week bookings and no one-night bookings, a minimum booking was a week and only cost £125.00! Slightly different to the 365 days a year availability for City Apartments. I turned my spare bedroom into a laundry room, strung up 4-5 washing lines from wall to wall as I use to wash and dry my own linen. There were no housekeepers then, just me, so I had to clean all of the apartments. In 2003, Andy Keech realised there was a market for guest who wanted to stay in short term apartment rentals. He set up MK Apartments, targeting the guests requiring accommodation whilst working at Theatre:MK. In 2005, Andy could no longer run the business out of his home. He moved into our very first office. Andy also hired his first employees since the business began in the form of the housekeeping and reservation teams. 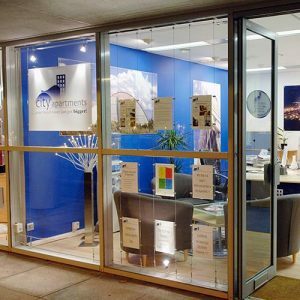 In February 2007, City Apartments was officially registered as a limited company. There were a number of developments being built in Milton Keynes giving scope to expand the business. We also got a new logo to match the new company name. In August 2007, The Hub and Vizion developments were completed. Our apartment count quickly grew from 10 to over 20 apartments. Our guests loved the central location of the new developments and demand for serviced apartments sky-rocketed. 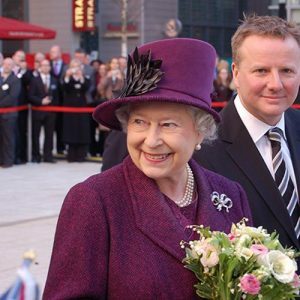 In November 2007, Her Majesty the Queen visited Milton Keynes to officially open The Hub development. In October 2010, we expanded our apartments into Northampton. Now with apartments to offer in the Centro development we could offer our guests multiple locations to stay. 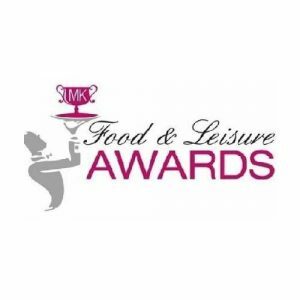 In March 2012, City Apartments were the proud winners of the Milton Keynes Food and Leisure Awards for Serviced Apartments. In June 2017, City Apartments moved to our brand new offices in Witan Studios. Our offices are now closer to the Milton Keynes apartments, meaning it's even easier for guests to check-in. February 2018 saw the launch of our new brand refresh. Our entire brand has been modernised and refreshed to ensure we are ready to move forward with the industry and expand the company in 2018 on wards. After working from home for 3 years Andy started to outgrow his house, and in 2005 he looked for office space. 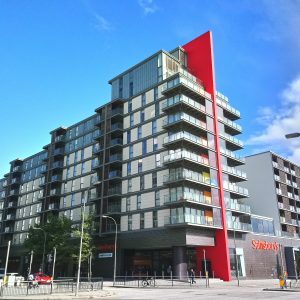 By this time MK Apartments was renting other properties in MK city centre, however, serviced apartments were still not a known concept in the UK. This proved rather difficult to rent new properties to grow the company. No one would rent Andy a property to basically use as a hotel, however, Andy persisted selling the concept to landlords. With new city centre office space in 2005, MK Apartments went from strength to strength. The prime city centre office address and location gave MK Apartments the boost it needed to move away from Theatre Digs and create its own website. The launch of the website allowed for nightly stays starting from £75.00 instead of the flat rate of £125.00 for the week. Of course, no more minimum stays of a week. 2005 saw so much growth that it allowed Andy to employ staff for the first time. One part-time office member and 2 housekeepers joined the team. By 2007 there were three new apartment developments being built in Milton Keynes city centre, The Hub, Vizion and The Theatre District Apartments. Once the new developments in The Hub, Vizion and Theatre Districts were finished in 2008. City Apartments quickly grew from 10 to 20 apartments. Our guest loved the fresh new city centre designs and being next to the business district allowed so many more business travellers to stay with City Apartments. The developments in Milton Keynes were the catalyst for City Apartments to continue to grow locally. Alongside the growth in Milton Keynes came the growth into a new area Northampton. In May 2011 Andy and the City Apartments team open a new apartment in Northampton. Northampton has given Andy the opportunity to discover how opening in a new area will be possible while still being close enough to oversee from Milton Keynes. 2018 is a very exciting time for City Apartments. Planning is already in motion of what the next decade will look like for City Apartments. With the experience of over 15 years in the serviced apartment industry, Andy and his team are now ready to expand and grow the brand into new areas. Our plans are big on a true city scale. With the locations pinpointed keep your eyes peeled. You never know City Apartments could be coming to a city near you.